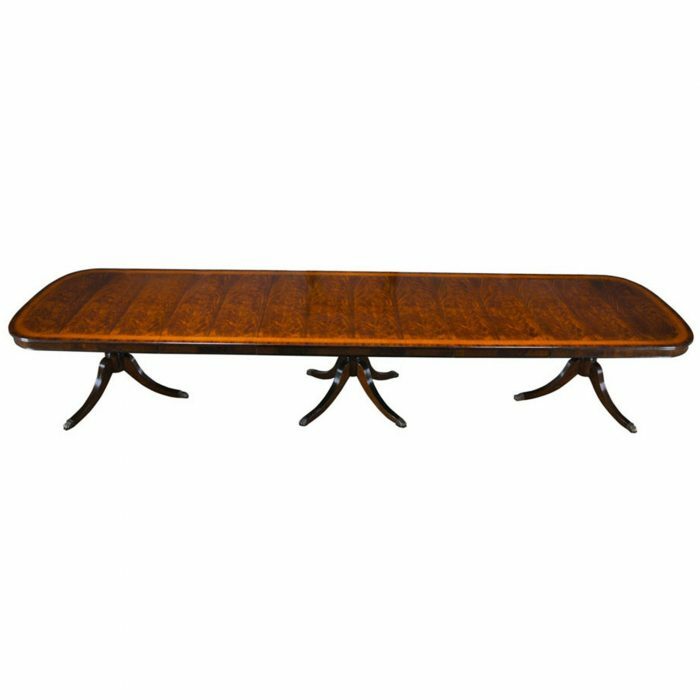 Our largest production dining table this 21 Foot Dining Table is a high quality item can fill almost any space. 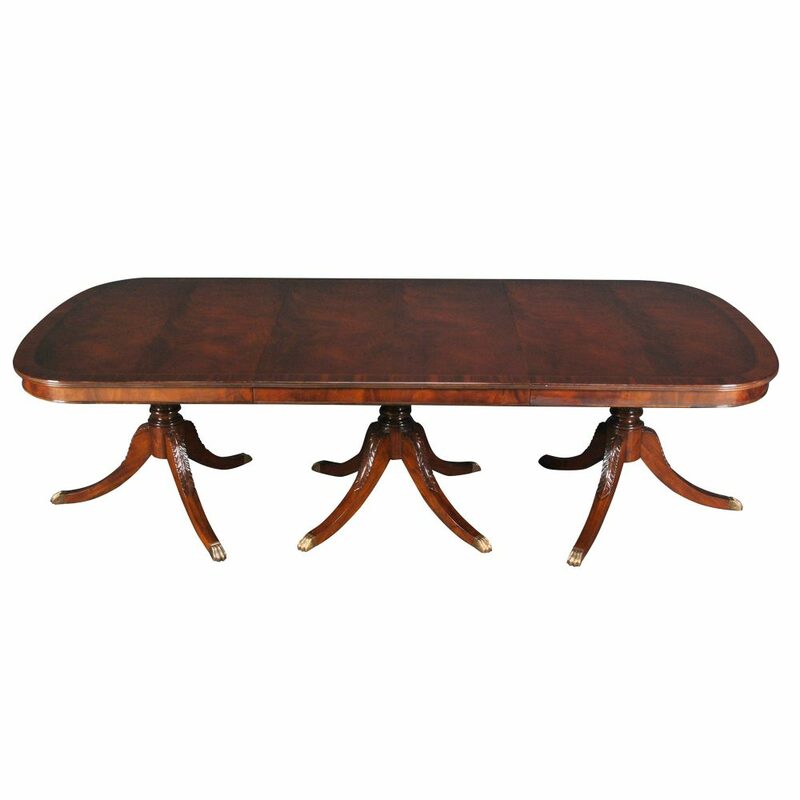 At an overall length of twenty-one feet when fully extended this table is so massive that it requires four sets of heavy duty American made metal rails to support it when completely opened. 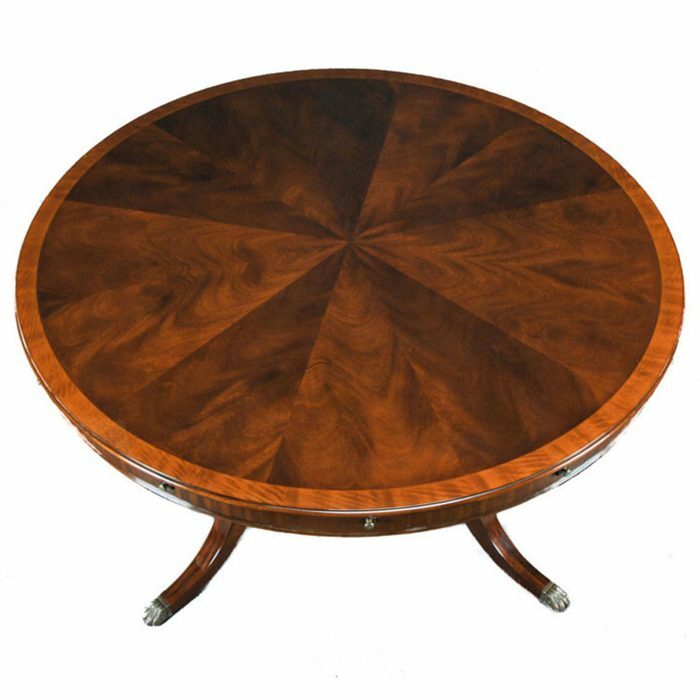 Three solid mahogany hand carved pedestals support the table top and leaves are held in place with high quality metal locking mechanisms. 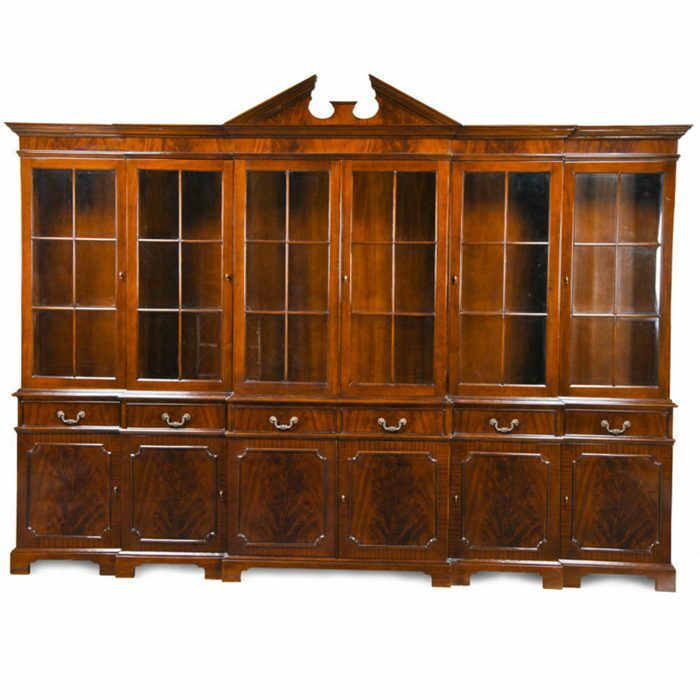 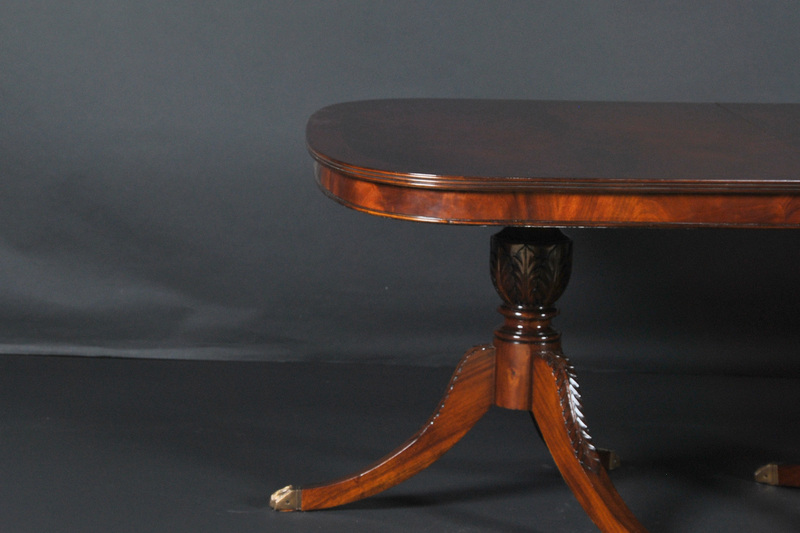 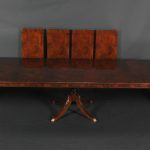 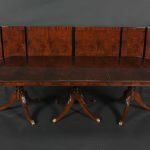 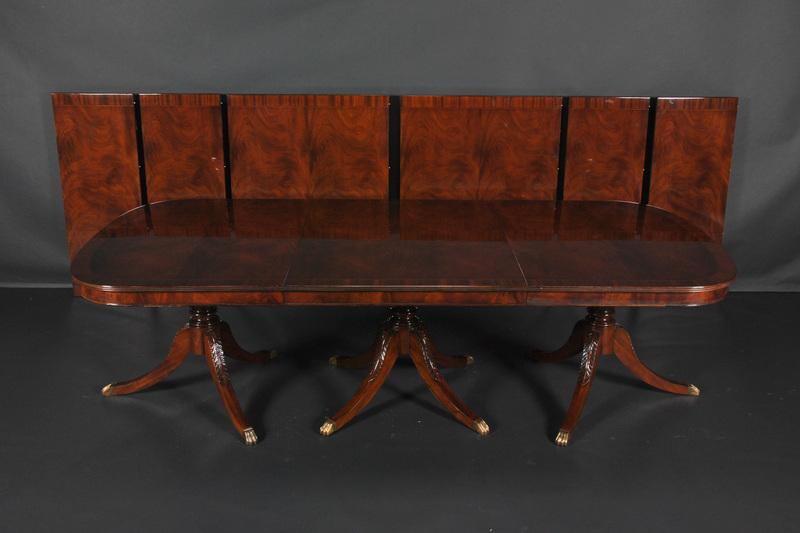 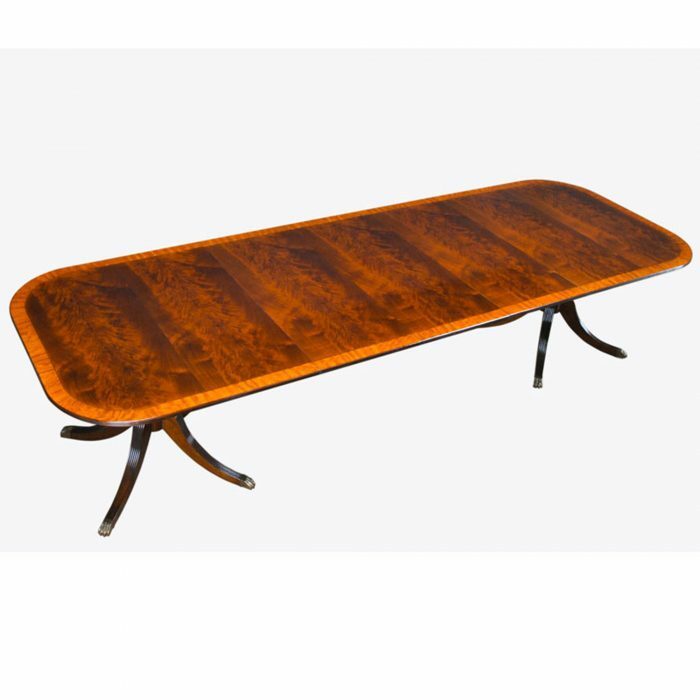 The table top and leaves are produced from the finest mahogany veneers. 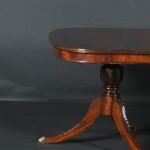 Flexible in it’s use the table can be closed down to a size of nine feet and a wide combination of leaves can be added for use at a variety of lengths depending on the occasion.